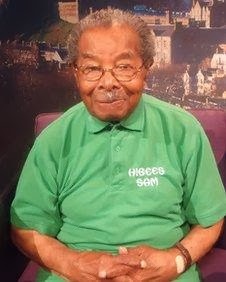 Happy 104th Birthday, Mr. Sam Martinez, the only Belizean still living from the 800 plus Belizeans who went to Scotland during WWII. Mr Martinez lives in Edinburgh, Scotland, and is originally from Barranco, Belize. Below is a link where you can see Mr. Martinez who was featured in the UK documentary "Tree Fellers"
The documentary tells the story of some of the over 800 men who traveled from British Honduras (now Belize) to Scotland in 1941 to work as foresters. Their stories and the stories of other black men and women from the commonwealth can be seen at the Imperial War Museum in London.